A soft shoe like a Drago is always going to be better at smearing. A stiff shoe like Boostic is always going to be better at edging. This is why I would always recommend having at least two pairs of shoes, so when you need one in particular, you have that option. The obvious argument against this is expense; but when you consider that by having two pairs of shoes you’ll most likely wear them out at a massively reduced rate. This will in turn increase the lifespan of the shoes and therefore you won’t actually have to buy another pair of shoes for quite some time. So, in the long run, it’s not any more expensive. Now, I am going to do a TOP 3 of what I would recommend for different types of climbing. I’ll review each shoe, reasoning why they are my go-to shoes for each style. 1) Drago: The Drago utilises a soft XS Grip2 rubber sole with SRT rand technology using the ultra-sticky M50 rubber wrapping around the toe for insane levels of grip whilst toe hooking. Smearing on larger holds and volumes has never been easier and with the combined Single Velcro System and Y-Shaped Strap, you won’t have any problems with heel hook contact and a snug fit. 2) Chimera: The Chimera is arguably a better shoe for all-round performance than the Drago due to the TPS 3D moulded plastic insert that provides slightly more power through the toe than the entire Soft Line. 3) Instinct VS-R: The Instinct VS-R offers the same supportive insole with the half-length Flexan 1.0mm insert that you get in the whole Instinct range, but with the added benefit of a 3.5mm Grip2 sole for that extra sticky smearing capability. With Bi-Tension active randing you get ultimate flexibility for smearing and enough tension for extreme edging making it the perfect all-rounder for a variety of indoor styles. 1) Chimera: The Chimera offers a soft and flexible body for smearing on even the finest grained sandstone, but gives that little but of support through the toe with the TPS 3D moulded plastic insert which could be the saving grace when you need to stand on that Gritstone pebble or power through on that faint edge. The SRT toe rand system with M50 rubber provides unparalleled toe hooking capabilities that seemingly defy all logic when grappling with horrendous font sloper toe hooks. 2) Instinct VS-R: Once again, I would have a pair of Instinct VS-R in stock for when a Soft Line shoe just won’t cut it for the support. When faced with technical edgy slab problems or powerful moves of small pokey footholds, having an Instinct insole with the Grip2 rubber is the ultimate combo! 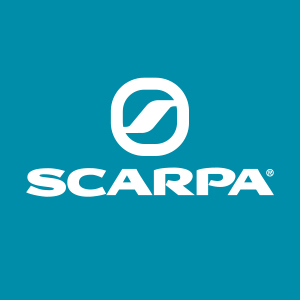 3) Furia S: The softie in the Soft Line – you won’t get softer at SCARPA! I know some folk like it so soft that it doesn’t seem sensible and that is where the Furia S will come into play. For when padding up slabs is the only solution, or when you’re slapping between slopers and bear hugging the boulder, the maximum contact between rubber and rock is the Furia S. The rubber sole is connected directly to the fabric upper under the ball of the foot with only a thin plastic midsole under the toe pads. Needless to say, you just won’t find a better mix of sensitivity and flexibility, as well as providing the glove-like fit that feels as if you’re climbing au-natural. 1) Mago: The Mago is in my mind the greatest creation of SCARPA legend Heinz Mariacher. I also believe it is the most under-appreciated shoe by climbers who obviously haven’t seen its potential as I have. It has an uncompromising design capable of concentrating power through the toe like no other climbing shoe on earth thanks to its specially designed asymmetrical and down-turned shape, high angled toe box and TPS 3D moulded plastic insert with floating big toe pad for increased sensitivity. I would go to the Mago for anything where to power was required which I would include steep limestone and granite bouldering in. 2) Boostic: When it comes to standing on small crystalline edges, there simply isn’t a competition. With its 4.0mm XS Edge rubber sole, curved Flexan insert and strong V-Tension Active Randing, it makes the Boostic simply the best shoe in the world for continuous use of small foot holds! 3) Instincts: I’m cheating a little bit by doing this but Instinct VS or Instinct VS-R work really well across the board. The Instinct VS-R are there for you when you need something a little more versatile, where smearing on friction is going to be required as well as some extreme edging! 1) Mago: Again the Mago is just an unbeatable choice for me in many ways, but when it comes to particular types of limestone, that is where it excels. I found the Mago to come into their own in Margalef, where the incredible precision and power from the toe turned inset pocketed footholds that I might normally struggle to get purchase on, into perfect springboards of propulsion. This precision I found equally as effective on the technical limestone of Malham Cove in Yorkshire and on the technical vert faces of Ceuse. 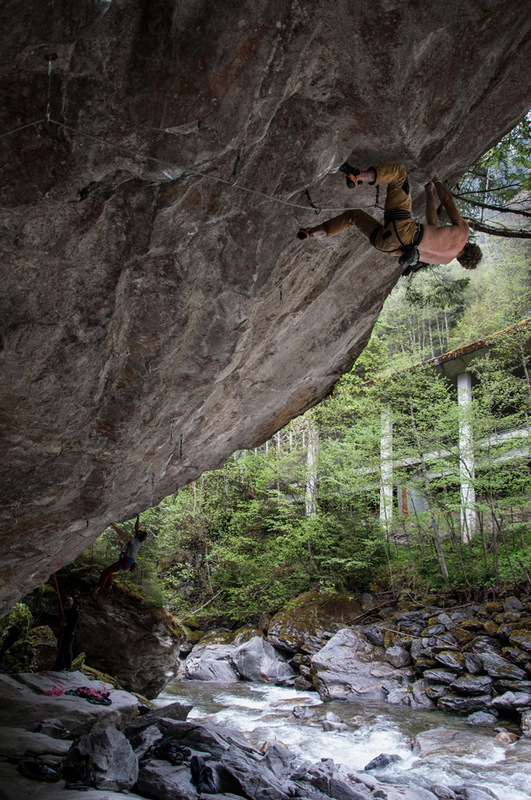 2) Instinct Lace: I’ve chosen the Instinct Lace time and time again for hard technical limestone walls in the Alps. Why? Because it has an uncompromising edge for standing on using XS-Edge and a lacing system that means you can synch it up super tight for vacuum tight fit around your foot. 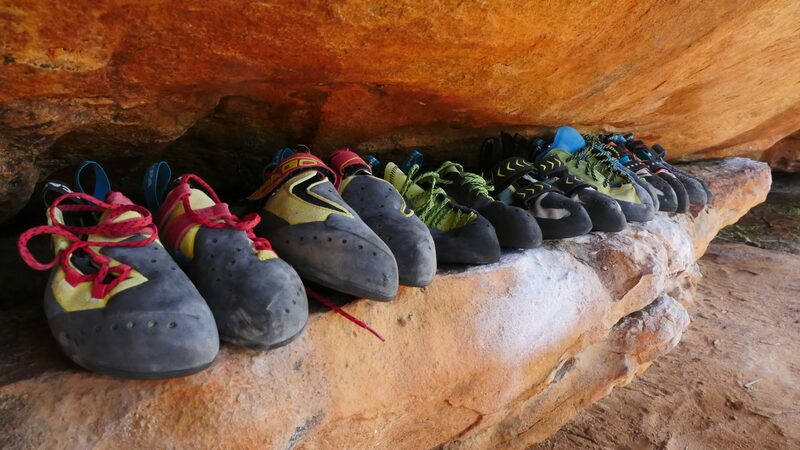 3) Vapor: I’ve known many climbers over the years and in doing so known many climbing styles. I definitely am someone who likes to feel support through a good edge and therefore have always drifted towards the stiffer shoes in my choices. 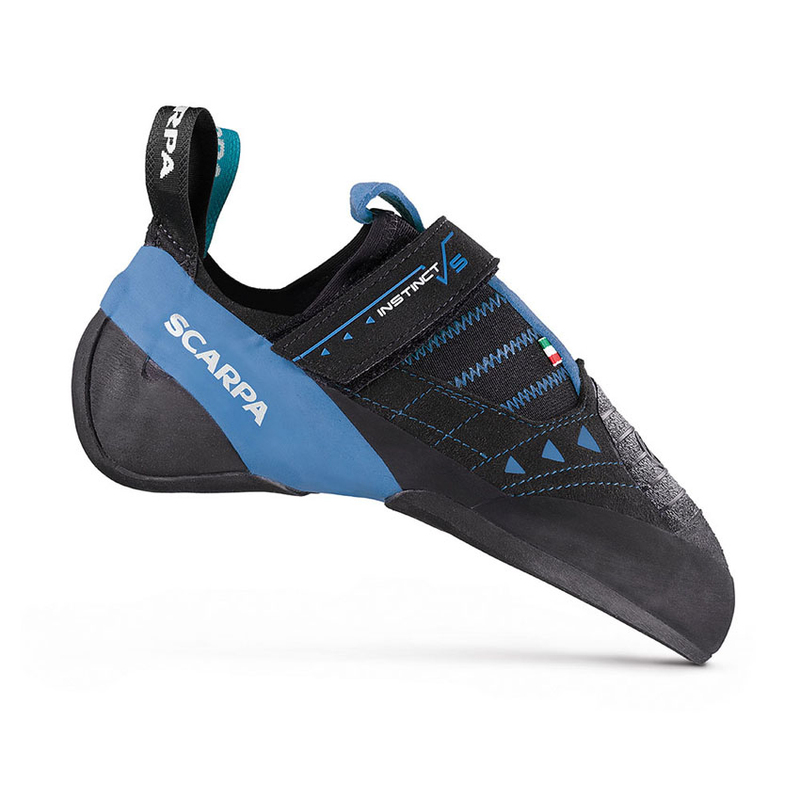 The Vapor is therefore not my first choice because there are stiffer shoes in the SCARPA collection, but for those climbers I’ve known who tend to use their feet to smear and edge in an almost 50/50 (sometimes smearing over edges), then the Vapor is probably your shoe. The climbers who wear Vapor’s swear by them and I think if you learn to climb in this way then you’ll reap the benefits. I think where the Vapor excels over the Mago and Instinct is in the flex of its full length 1.0mm Flexan midsole that allows both support and excellent flex – perfect for smearing and using small footholds. 1) Booster S: The Booster S is the shoe for the steep sport climber who wants a combination of soft sticky rubber on their feet from the Grip2 sole and a powerful toe. Great if you’re not a fan of the shape of Mago and Stix, it’s a different Last (FZ rather than FX) despite being in the same Family (SHARP LINE). The Booster S is extremely sensitive and precise, but also flexible enough for smearing, just what you want on a steep overhang! 2) Instinct VS-R: The Instinct VS-R is an all-round animal and will perform exceptionally well across many categories, however on steep overhanging routes, I think this is where you could really get a lot from them. Overall it is a more supportive shoe than Booster S, that means you’ll get more from it when the angles ease of and the footholds get smaller and sharper. It’s also a completely different Last, so if Booster S doesn’t feel right on your foot, the FV Last of the INSTINCT LINE could be the one for you. I choose Instinct VS-R for steeper walls over the other Instincts mainly because of the Grip2 rubber compound; it’s softer for smearing and quickly pasting on edges when your moving fast. 3) Chimera: I have never found a toe that the Chimera (or a Drago for that matter) couldn’t hook. When you’re hanging upside down in a roof, you’ll be glad you took your Chimera’s with you. 1) Maestro + Maestro Mid: When it comes to comfort and performance, there is no competition. The Maestro is ahead of the game with its 1.1mm Janus plastic insert running the full length of the shoe that offers uncompromising support for when you’re standing on micro edges for ages fiddling in little wires, but at the same time have a reasonable flex for exceptional smearing possibilities! It’s worth noting that the Maestro Mid is not the Maestro with an ankle high eco leather upper, it’s actually a much stiffer model with even more support than the Maestro. 2) Instinct Lace: The Instinct Lace can perform in pretty much any scenario which is what makes it a really great shoe for Trad climbing, because you just NEVER know what you’re going to have to do on a trad route? Could be a gnarly sustained face climb, or a grizzly boulder or an awkward chimney; any of that and the Instinct Lace will step up to the challenge. 3) Vapor Lace: The Vapor Lace is a step down in stiffness from the Instinct, which makes it a leap down from the Maestro and practically worlds away from the Maestro Mid, but this doesn’t mean it can’t stand on an edge… it sure can! But what I have found with the Vapor over other models is the ease at which it can slide into thinner cracks when you need to as well as transition between edging and smearing. 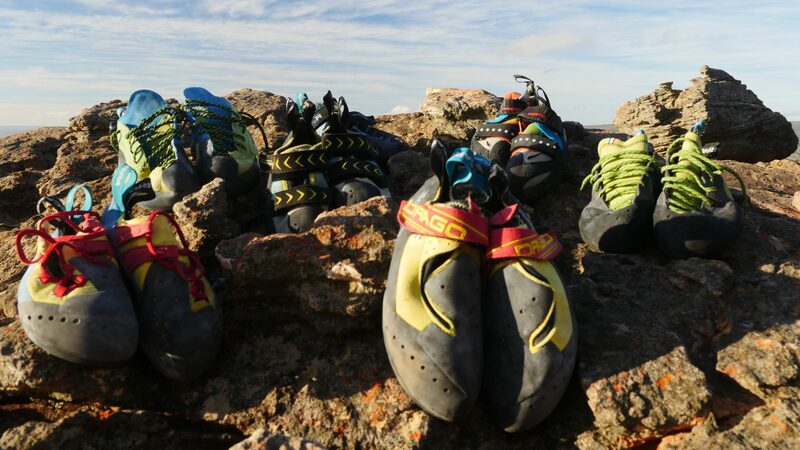 1) Maestro: I think the Maestro is the best shoe in the world for Big Wall climbing. That’s all you need to know. 2) Boostic: I will take a pair of Boostics for when I need real precision footwork for really specific hard sequences of climbing e.g. the crux of my f9a (5.14d) Big Wall Project is easier with a Boostic on my left foot and a Maestro on my right foot. The Boostic has a toe edge unlike any other shoe; it can stand on atom-sized crystals on the granite providing uncompromising support when you need it! 3) Maestro Mid: For when your tackling the wide offwidth pitches, shoving your feet in cracks and even doing just long day pitches and you want something to walk around in too, the Maestro Mid is your weapon. 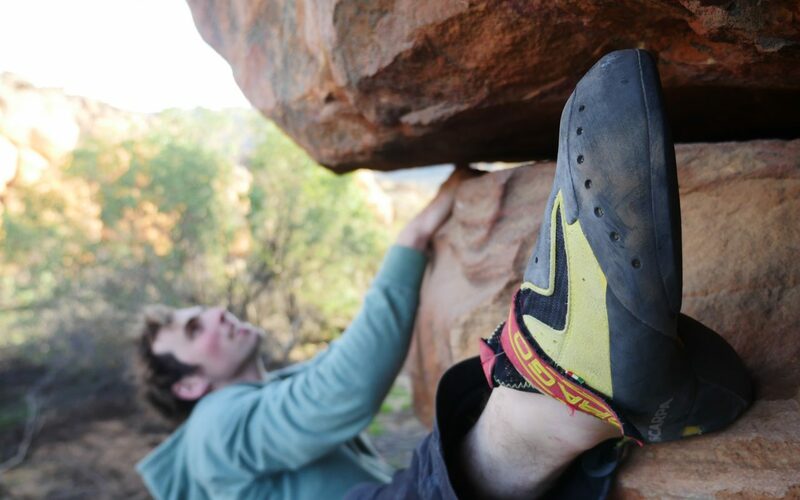 This concludes Robbie Phillip’s 4 part blog on Climbing Shoe Guide. Thanks Robbie for this very informative guide!